You can hike in Denver to get ready for a 14er in the Rocky Mountains. As summer approaches, you might be thinking you’ll climb a 14er this year along Denver’s front range and beautiful Rocky Mountains. Most folks wait until the weather warms and the snow melts before heading into the high country to climb a mountain taller than 14,000 feet. But you don’t need to wait until July to start your training. 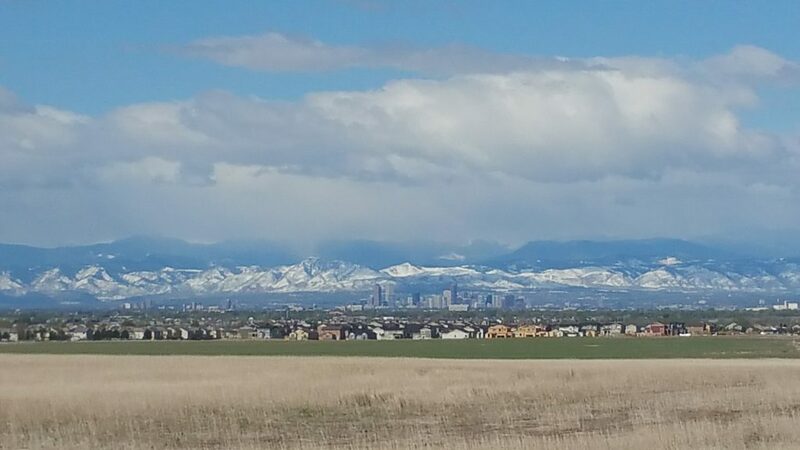 You can start training for your 14ers right in the middle of Denver. Here’s how to train to hike a 14er, starting in Denver and working your way up the mountains. This is the plan I did to hike my first 14er. It started in Denver’s neighborhoods walking flat, short walks and eventually I worked my way up to high altitude hiking. 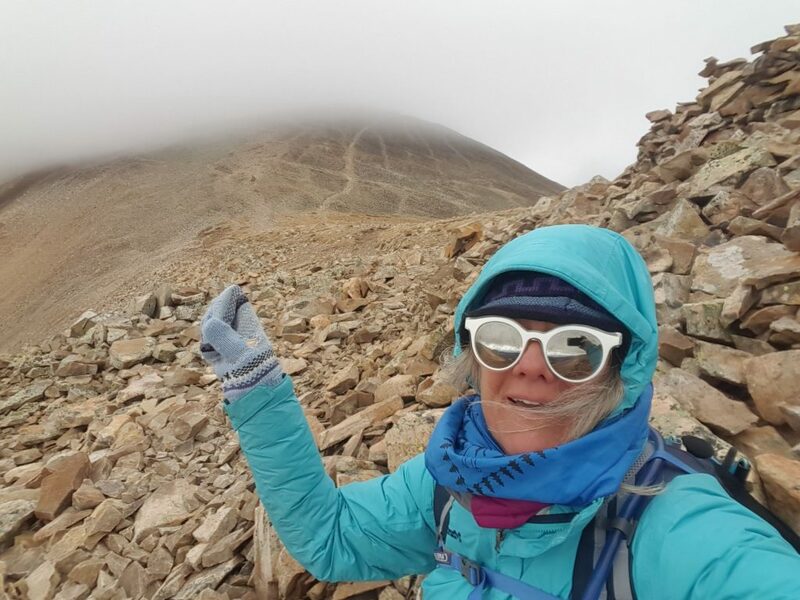 It didn’t happen overnight and it did begin with my acknowledgment that I had to get fit and train with friends in order to top my first 14er. And, it wasn’t just these hikes. They were the goals I maintained and accomplished while also continuing to hike and walk in Denver throughout the weekdays and weekends. Sometimes you’ll get really close, but can’t finish due to weather! You can tackle these three challenges by starting in Denver. In this plan, you’ll continue your training along the front range, working your way up in altitude from Denver’s 5280 feet to 14000 feet gradually. As you get fit, you’ll hike your way up to 9000, then 10000, then 11000, then 12000, then 13000 and finally topping at 14000 feet. 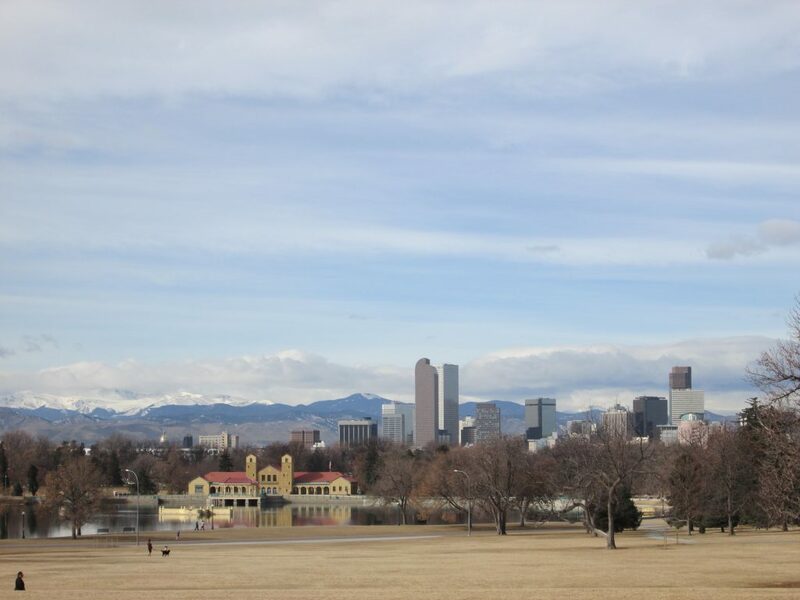 Start building distance by hiking in Denver’s neighborhoods. Let’s start with the distance first. 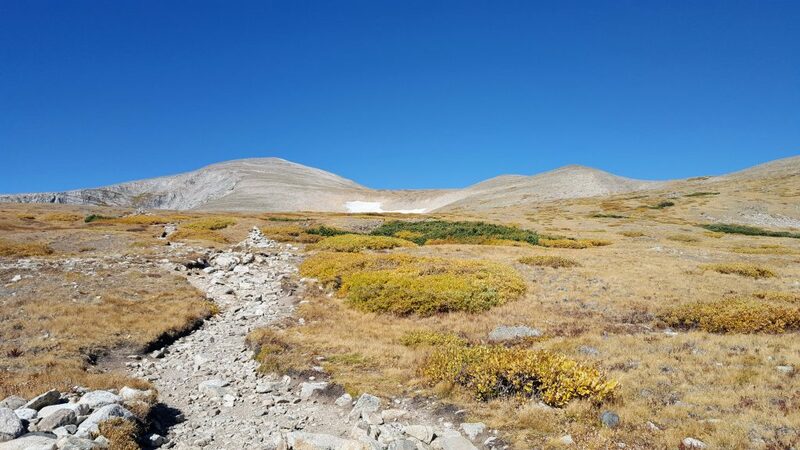 Generally, you’ll travel 6-10 miles in trail distance when climbing a 14er. Of course each one varies. You can start your distance training in Denver by starting in its neighborhoods and on its trails. If you are fresh out, just starting to walk, you might want to start with the 1-mile Radius Walking Challenge and begin adding a bit of walking into your life everyday. When you’re ready to tackle three miles at a time, pick one of Denver’s 78 neighborhoods and go out for an amble. My three favorite neighborhoods to walk in Denver are Stapleton, Auraria, and Five Points. 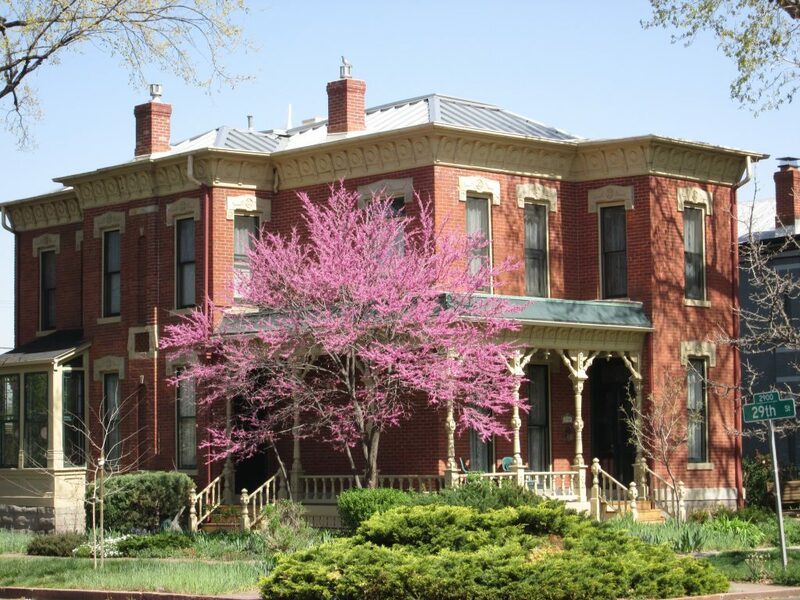 Each has interesting architecture or stories to keep you entertained; be sure to click on the links to find maps and narration for where to walk in those neighborhoods. If those three don’t suit you, here are 75 more Denver neighborhoods. 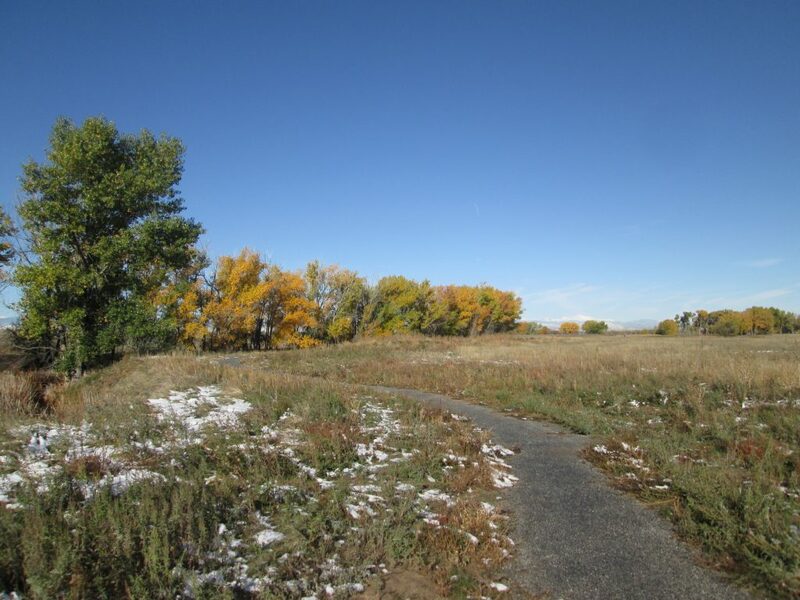 Once you feel comfortable with 3-5 miles within the neighborhoods, head out to Denver’s regional trail system. Within Denver, there are at least seven trails and hundreds of great hikes that incorporate those trails. A great beginner hike to tackle is the First Creek at DEN trail. If you go east on the trail, you’ll be on concrete. If you go west, you’ll be on dirt trail. As you get ready for your 14er, you’ll want to start doing dirt trails. Be sure to go west on First Creek at DEN Trail. Don’t let snow keep you from hiking. Denver cleans it trails quickly! 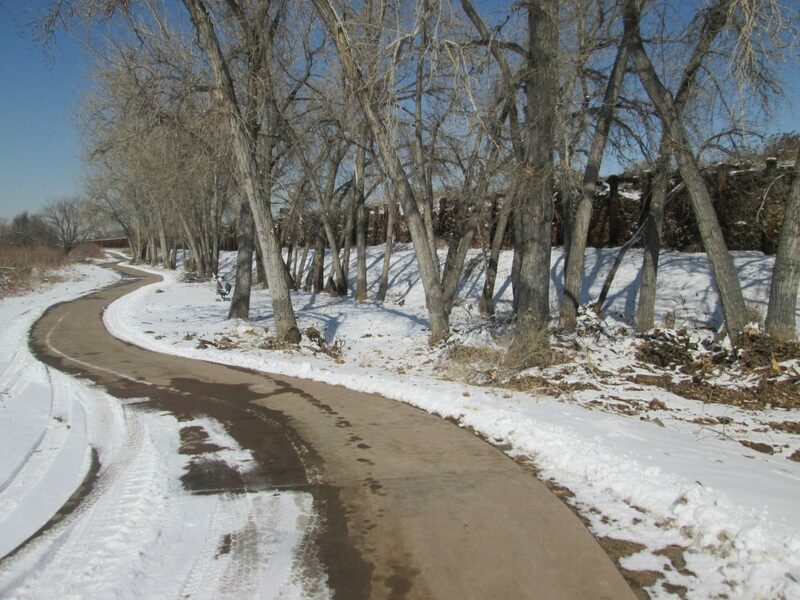 Within Denver, you can expand your distance easily on the 9 Creeks Loop, the High Line Canal Trail, or the Sand Creek Greenway. These trails are generally flat, have wide paths, and are easy to follow. You might want to try segment 3 on the 9 Creeks Loop, segment 10 on the High Line Canal, or Segment 3 on the Sand Creek Greenway. Once you’ve gotten a good 6-8 miles of distance down and you’re adjusted to Denver’s altitude, work your way up into the front range trails. The Bear Creek trail starts to gain some altitude. 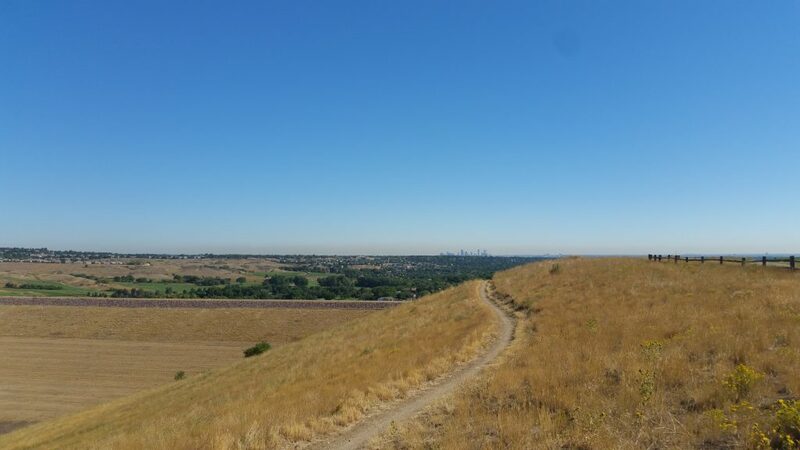 You can pick it up off the South Platte River Trail, and as you go walk westerly up the trail, you’ll start working into the 6000-7500 feet elevation zones. The overlook from Mt Carbon will keep you motivated! Another slightly higher hike with some elevation gain is the Mt Carbon Loop at Bear Creek Lake in Lakewood. This 6-mile hike takes on 515 of elevation gain up Mt Carbon while you overlook downtown Denver. It’s a great local hike which you can find in the award-winning book, Best Urban Hikes: Denver. Before heading up into the higher elevations, you’ll want to tackle a few more local front range hikes. North Table Mountain is always a good one as well, and you’ll want to add in the Lichen Trail for a bit more elevation gain. I describe the Lichen Loop hike in my book, Best Urban Hikes: Denver. You’ll start at around 5800 feet and work your way up to about 6400 by way of a very steep start; after the initial climb, the hike is relatively flat with some undulating ups and downs. Stairs are a big part of your 14er training. Next up in your ongoing climb up in elevation, you’ll want to tackle the Panorama Point Trail in Corwina Park near Evergreen. This short 2.5 trail has a steep climb up to about 7200 feet. It’s a good trail for you to get your climbing lungs working in anticipation of trying longer trails at higher altitude. A good hike in the 8000-9000 feet elevation zone is in Staunton State Park. A gorgeous park that also provides wonderful ADA-compliant trails and gear, you can find excellent training hikes. One is the Mason Creek Trail in Staunton State Park. As you climb, altitude makes the hiking more difficult. Be sure you bring extra water and extra food, and take shorter hikes as you adjust to the higher elevations. This 4.5-mile trail starts at 8100 feet and climbs to 9440 feet. It’s a good starter hike for higher elevations and gets your ready for Mt Bergen. You will eventually end up above the tree line! The next great hike you can do in late spring/early summer as you get ready for your 14er, is the Mt Bergen hike. 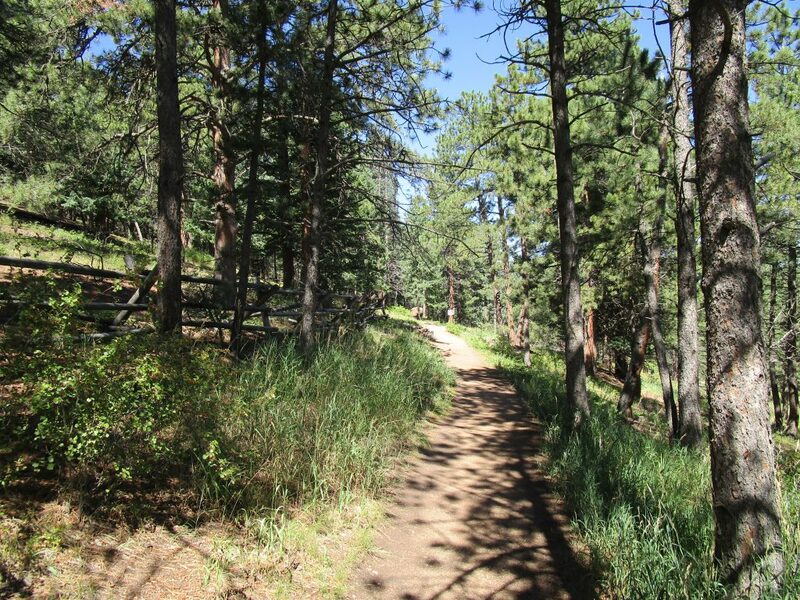 You’ll start in JeffCo’s lovely Elk Meadow Park and then climb through Denver Mountain Park’s Mt Bergen. This 8.8-mile hike will get you 2100 feet of elevation gain and top you out at 9700 feet. To avoid crowds, get there early, go on the weekday, and avoid the fall color swarm. If you’re progressing along and feel comfortable with 10000 feet, you’ll want to continue your progression up in elevation and deeper into the Rocky Mountains. 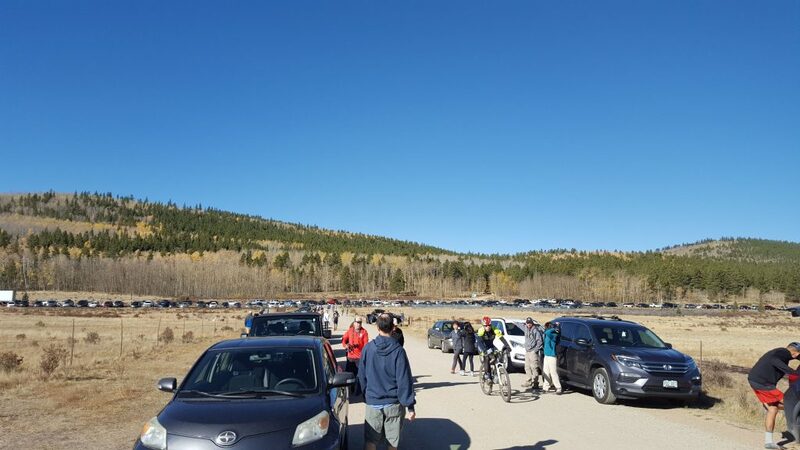 By this point, 8 miles in the higher elevations should be accessible for you. For your 10000-11000 feet hike, take on the amazing Kenosha Pass. Many folks visit Kenosha during the fall color viewing season, but it’s a great place to visit in last spring/early summer. Check your snow reports, then head out to Kenosha and jump onto the Colorado Trail. 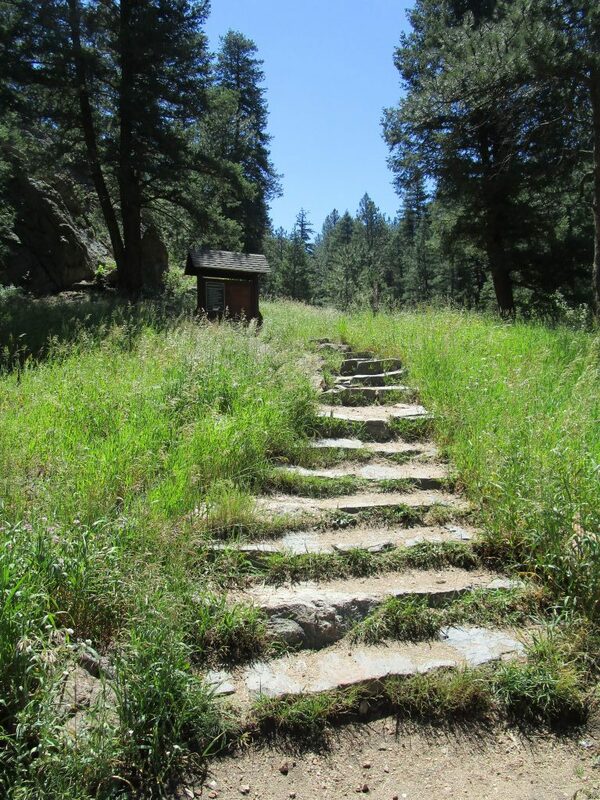 Hike the distance you feel comfortable with; the trail goes from Waterton Canyon to Durango. By this time, you should feel sure-footed on rocky and dirt trails. You’ve purchased yourself a good pair of hiking boots, you’re carrying your water in a bladder, you maybe have a favorite hat, and you know what trail snacks to pack. You may have even invested in a good set of hiking poles. Next up in your training for a 14er is to take on your next elevation zone. Getting above tree line is an entirely new experience. Now that you’re hovering around 10000 feet, and the weather has melted much of the snow, you can move deeper into the front range and tackle some the higher hikes. For 11000 feet, definitely do one of my favorite hikes, Hell’s Hole near Idaho Springs. 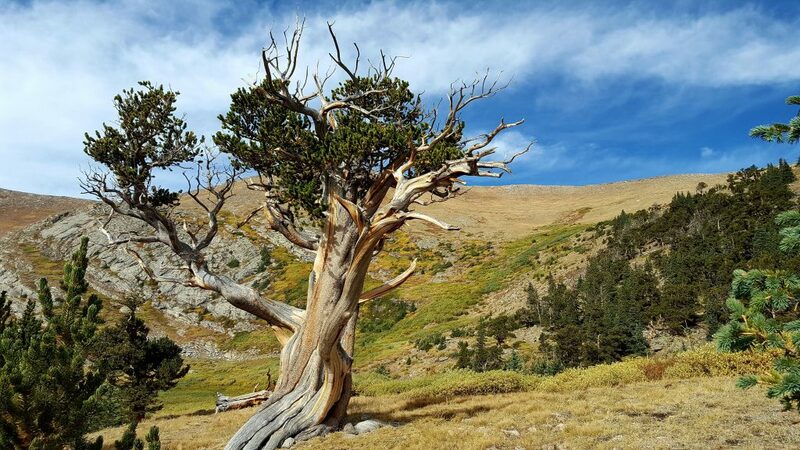 For 4 miles, you’ll steadily climb up to a bristlecone pine forest and the backside of Mt Evans. Then you’ll turn around and go back for another 4 miles. Bring plenty of gear, water and food when you climb 14ers. My favorite hike in the 12000-13000 feet zone is Mt Audubon. By this time, you’ll have gotten used to hiking above the timberline at around 11000 feet. Be sure to check the weather for wind; as you get into these taller mountains, conditions can change drastically and wind can blow greater than 50 mph. If you don’t have the right gear, right food, right people, and right attitude, don’t go. But if you are ready and prepared, take on Mt Audubon for your 13000 check mark. At this point, you are probably also hiking other areas during the week or the weekend. You are comfortable with putting down 8-10 miles, you’re acclimated to high altitudes, and you’ve got a crew and a set of gear that you trust and can rely on in bad conditions. When you feel you’re ready, which is more than just hiking the recommendations here, pick a 14er. Which one? Along the front range, you have many choices of 14ers. 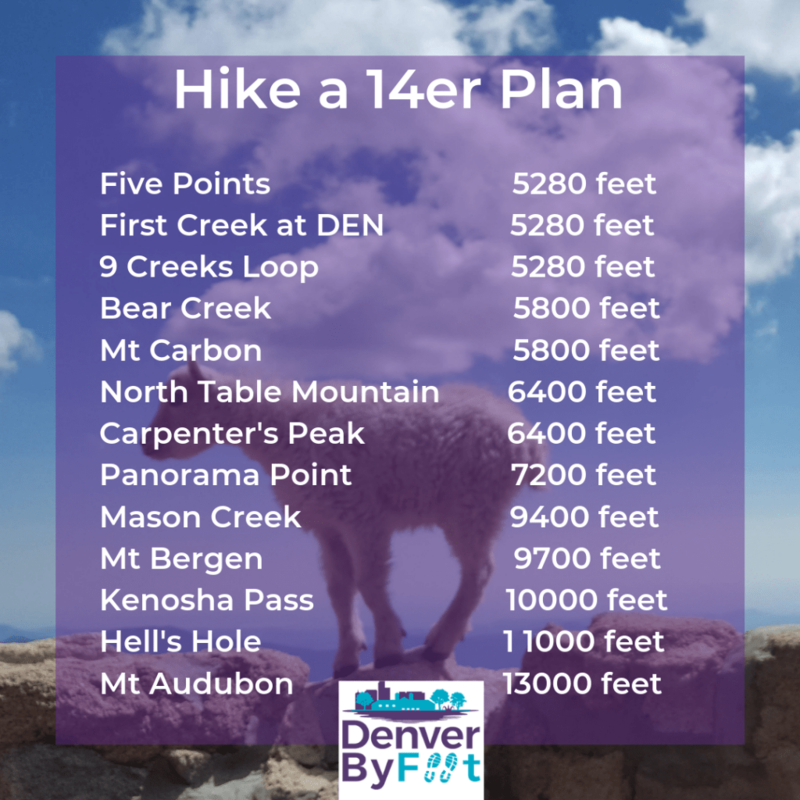 There are many posts about hiking 14ers and which ones are the easiest and best to start with first. You might try Mt Bierstadt, Grays and Torreys, Sherman, Quandary, or Massive. But please, don’t let Denver’s adrenaline and media tease you. Although “everyone does it,” they shouldn’t. Many rescues happen every season and people die every year because they weren’t prepared either with fitness, mental aptitude, or gear. Please be sure you’re ready on all of these dimensions. Also, don’t rush. Sometimes you’ll get so close to the top and can’t finish because of conditions. I’ve been blown off many mountain tops and haven’t reached the last few hundred feet because of wind! But most importantly, be safe and have fun. And as a side note: I can tell you one thing. Driving to Mt Evans and then climbing the last 1/4 mile to its 14265 feet doesn’t count as topping a 14er! Have fun, stay safe, laugh, and do a great training plan for climbing a 14er this season. Will you post some pics and tag them #denverbyfoot? Thanks!